The demand for pharmacy technicians is increasing in response to the expanding aging population and the need for new prescription medications. Pharmacy technician training provides students with the essential knowledge and competencies to assume entry-level positions in retail, home health, and institutional pharmacies. Pharmacy technicians assist licensed pharmacists with the distribution of prescription medications. They receive written prescriptions and requests for refill and check the information for accuracy, fill bottles and package and label the medication, adhere to the storage recommendations for medications, answer the phones and respond to customer queries, refer customers to the pharmacist when they need counsel, establish and maintain patient profiles, and follow up with customers. Technicians also play a major role in the management of pharmacy inventory. They receive and store supplies, check quantities, pull outdated medications, and order new supplies when stock gets low. They update the pharmacy stores in the database, mix pharmaceutical preparations, and manage the day to day operation of the pharmacy. Technicians have a very important role in the pharmacy. 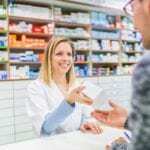 Their expansive responsibilities give pharmacists the freedom to focus on other important aspects of the operation, such as patient counseling and other services. A pharmacist must check the technician’s work before medication can be dispensed to the patient. Pharmacy technicians must obtain a license from the Illinois Board of Pharmacy and renew it annually to practice in the state. The pharmacy technician program at Northwest Suburban College supports the development of knowledge and practical skills for students to assume entry-level employment in a hospital or community pharmacy. Students spend 12 weeks following a structured curriculum in the classroom. They will then complete a pharmacy externship for 2 to 4 weeks. The externship gives students a working knowledge of the pharmacy operation in a state-of-the-art pharmacy. Approximately 152 hours in the classroom will cover Pharmacy Legislation and Basic Pharmacology, Medical Preparation and Administration, and Pharmacy Practice. Graduates will be eligible to provide patient-centered care, communicate effectively with patients and members of the healthcare team, follow proper infection control procedures, and use standard procedures to order, receive, and store drugs. Admissions open every month. The total cost of attendance is $2,221. The cost includes tuition, enrollment fee, graduation fee, CPR, OSHA, and HIPAA. Students must complete a total of 37 credit hours to complete the Advanced Certificate program in Pharmacy Technology at the City Colleges of Chicago. The program is designed to be completed in three semesters. Course modules include Introduction to Anatomy and Physiology, Pharmacology Allied Health, Basic Science form Allied Health Personnel, Intro To Pharmacy Technology, Pharmaceutical Calculations, Prescription Processing, Pharmacy Communication, Intro to Pharmacy Law, and Pharmacy Operations. Students will complete Clinical Practicum I and II in the final semesters. Graduates of the American Society of Health-System Pharmacists accredited program will be eligible to sit a national certification exam and qualify for employment as a pharmacy technician in community and hospital pharmacies. Persons interested in enrolling in the program must apply for special admission. Tuition costs $3,506. There is an additional $2,079 for books and supplies. Prairie State College hosts a pharmacy technician program to prepare students for the PTCB exam. The curriculum covers 50 hours of instruction. Graduates will be prepared to take the exam to become a Certified Pharmacy Technician. Course topics include reading and interpreting prescriptions, drug compounding, defining drugs by generic and brand names, IV flow rates, inventory control, dispensing prescriptions, and billing and reimbursement. Anyone can register for the program – no previous academic work in required for admission to the non-credit course. Classes are available in the Fall and Summer semesters. Tuition for the program is $1,099. Northwestern Institute of Health And Technology’s pharmacy technician program includes theory and hands-on experience to prepare students for employment as a pharmacy technician in various healthcare settings. The curriculum covers 100 hours of instruction in drug calculations, pharmacy terminology, pharmacy information systems, legal and ethical principles that guide practice, and other areas that will enhance students’ competency in a healthcare environment. Students will also have the confidence to sit for the pharmacy technician certification exam. Use the contact information below to learn more about the admission process, schedule, and cost of tuition. RX Tech Prep offers a traditional and online pharmacy technician program to prepare students for pharmacy technician certification and employment as a pharmacy technician. The online program uses the same curriculum as the traditional program. Instruction is divided into three sections – the Pharmacy Technician, Pharmacology, and Pharmacy Calculations. The classroom option meets one day a week for 11 weeks. Students have the option to complete a pharmacy externship at CVS pharmacy. Tuition and registration cost $1,800. A flexible payment plan is available to all students. The pharmacy technician program at Jethro Healthcare School covers 50 instructional hours in 10 weeks. Course topics include pharmacy administration, drug dispensing process, patient interaction, pharmaceutical calculations, Federal Privacy Requirements, anatomy and physiology, pharmacology, nutrition, medical terminology, digestive, registry, and reproductive systems, and healthcare systems. Students will learn the different drugs, dosage calculations and drug conversion, medical insurance, pharmacy tech role and responsibilities, and drug administration. Classes meet on Tuesday evenings from 5:00 pm to 9:00 pm. Tuition costs $900. Additional costs include registration fee, CPR, Board exam, license, books, and CPR. The pharmacy technician program at Oakton Community College leads to a Pharmacy Technician Certificate. It covers 7 semester credit hours. Course topics include basic physiology, pharmacy operations, drug interactions, dosage calculations, inventory management, billing and insurance, pharmacy operation, packaging and labeling, reading and interpreting prescriptions, and customer service. The pharmacy technician program at College of Lake County is a hybrid program that requires some online work. Students will meet for 81 hours in the classroom and complete 24 hours online. Students learn how to receive prescription requests, read and interpret prescriptions, calculate dosages, package and label medications, differentiate brand-name drugs from their generic counterparts, weigh, measure, mix, and pour medications, process insurance claims, assist customers, and order and store medications. Graduates will be prepared to take a national certification exam. The class is typically offered in the Summer, Spring, and Fall semesters but not all classes are offered every year. Classes meet Mondays and Wednesdays from 6:00 pm to 9:00 pm for 4 months. Tuition costs $1,499. Qualified applicants may be eligible for funding through the Workforce Innovation and Opportunity Act (WIOA). JVS Chicago offers free pharmacy technician training that leads to state licensure and prepares students for success on the National Certification exam. The program offers 144 hours of interactive training taught by a certified pharmacy technician instructor. There will also be an opportunity to participate in a 120-hour externship experience where students will put the theoretical concepts to use in a real-world environment. Students who successfully complete the program will be eligible to sit the national certification exam. Job readiness training, job placement assistance, and career counseling will be available to all graduates.